When I found out our family was moving from Colorado to New York, I knew I wanted to turn to experts for advice. Who better than people who have moved many times? These are the true experts. 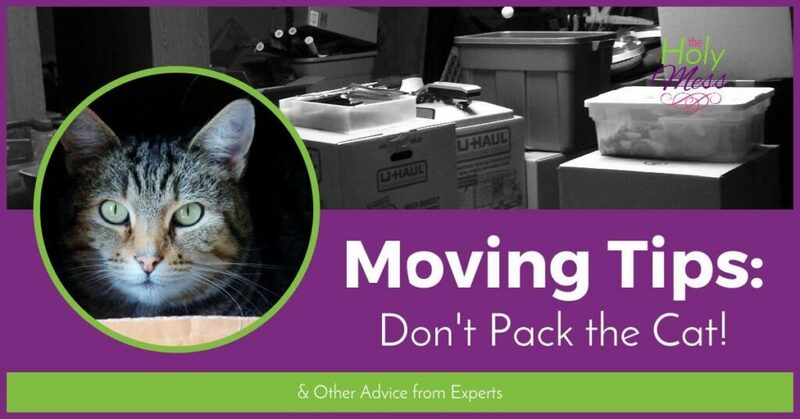 I posted a message on my Facebook page and these are some of the many helpful moving tips and moving advice from the experts. My friend Lena Aldrich, who was career military with her husband David and family, shared this story with me. A fellow military family was packing for a move and in the chaos lost the family cat. They looked everywhere and could not find him. Thinking he must have run away, they finally had to say goodbye and leave. Months later, in their new location they unpacked their boxes, now transported and unloaded from storage. Sadly they discovered in one of the boxes — you guessed it — their poor kitty! He had crawled into one of the boxes to nap and unintentionally been packed. Moving tip number one. Don’t pack the cat. 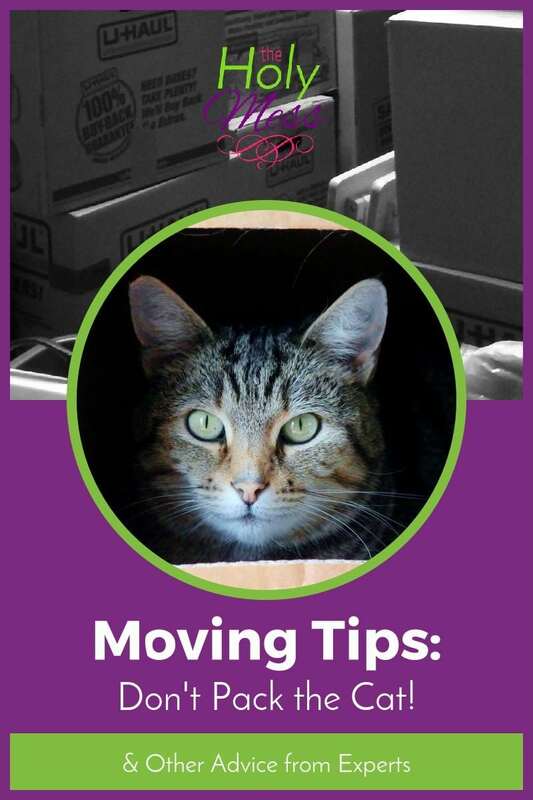 Here’s a post with 13 tips for moving with pets. Betty Pangier Delano –As you pack boxes don’t just put on the outside what room they belong to, but number the boxes and use 3×5 cards, with the same number on it, to list what is exactly inside that box. Then put the cards in a 3×5 file box. You can even “color coordinate” with each child having a certain color card with the same color Sharpie pen for marking the boxes. It is much easier to go through file cards when you are looking for something specific, like “coffee mugs”, than to search through every “kitchen” box. (I have to admit that sometimes, especially when moving day got closer, some file cards were just listed with shorter lists like, “desk stuff”). I do the same with the XMAS boxes and every year I impress my husband when he asks “Where is the ….” and I go to my file, then to the right box, and find it right away! Valerie Wells Wilson -A lesson I learned last time we moved: Start cleaning out unwanted clutter NOW. Don’t wait until you’re actually packing to move. Go through the place like locusts and anything that’s not necessary, pitch it, give it away, sell it, get rid of it. Be absolutely merciless. Though I disagree with April on the waffle maker. LOL We use ours at least once a week, so that’s a necessity. Nancy M. Anderson -I moved a lot over the years and we found that Hertz-Penske had the best prices & best maintained trucks for “do it yourself” moving.. United was great for the “they pack it for you, load the truck & drive it” for you kind of move. Hertz-Penske had the best prices & best maintained trucks for “do it yourself” moving.. United was great for the “they pack it for you, load the truck & drive it” for you kind of move. It was a lot more expensive to do the 2nd option but oh so much easier & less stressful…. was worth the extra money. We just sorted out what was staying, what was being given away, and what essentials we needed to keep with us – they did the rest. The night before “The Move” we were sitting there watching movies & eating popcorn instead of the frantic packing & “where is everything” mode of previous moves. I labeled all the boxes for a particular room with the same number – all boxes labeled #1 went to the kitchen for example. That way the movers (us or the pros) knew immediately where to put the boxes. It made it much easier to find stuff when unpacking and saved a lot of time explaining to people what boxes go where. One move we piled all the boxes in the garage & put the furniture in the rooms they belonged in; thinking that we could save time/energy by taking the boxes to each room one at a time instead of living with EVERY room being a mess. 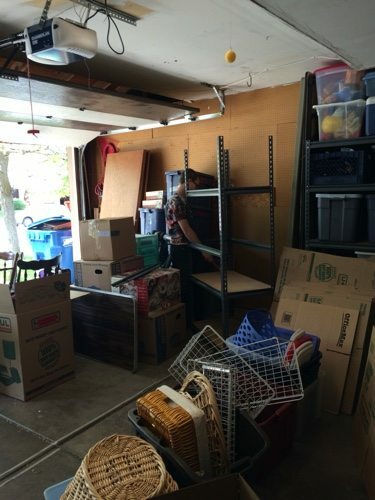 Didn’t work that way – we spend more time looking for items that were inevitably in the box on the bottom & in the middle of the giant pile in the garage so that we ended up moving stuff a million times. I wouldn’t recommend that strategy! LOL Good luck! Denise Dilley – Josh & I moved a year and a half ago. We didn’t have to worry about most of what you’re asking help with except for finding boxes. We ended up finding a variety of sizes at Home Depot for purchase. 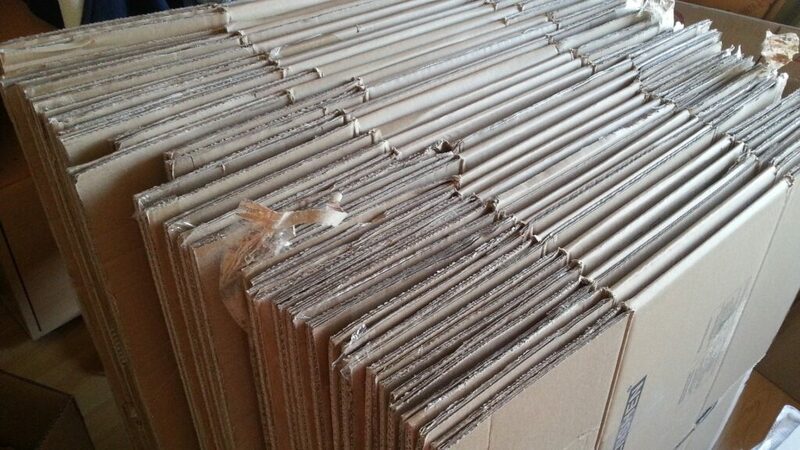 For free, we were able to get as many boxes from the Dollar General as we wanted. The only problem with the DG boxes was making sure to go on the right day to get them! Mariah Skerrett – We’ve had horrible luck with movers. They stole and broke tons of things, plus the overcharged! I’d start doing a deep purge of everything! Pack yourself and use a pod. They have 3 different sized they’ll drop at your door. You keep it and lock it. They pick it up and drop it at the new house. They will keep it in storage for 1 month as part of the fee. It’s way cheaper then paying gas for a Uhaul and you do the packing and know what is on the truck. Out of 6 moves in the last 20 years only one was good. The rest were crooks. Professional crooks too, sigh…The dollar store has boxes and check with target. Where they’re unloading new Easter things I got tons perfect for breakables! Diane Schraad Mason -In regards to schools- it isn’t just about the school district. Each school within a district has their own personality. If you have a child who is gifted you want to make sure they are in a school that offers advance studies. Same for a child that has special needs. If you have areas that you are considering, I would try and find Facebook community, special focus groups or even school district pages to join. Then start asking question. Mary Newlon Harms –-Leave behind a few rolls of toilet paper for the new owners, and be sure to take a few rolls of tp AND paper towels to the new place! Valerie Wells Wilson-I would figure out who covers the school district at the local paper and I would ask that person. Describe your kids and their needs and interests. I could tell you without even thinking about it which school would suit any given kid, if I knew enough about that kid. Decatur has some fine schools, but they’re all very different, too. April Scribner Shields –You live near military bases. See if anyone has boxes. Wardrobe crates are worth every penny. Covan movers awful. Mayflower good. If you hire packers, have a friend over to help watch. Our family is using PODS for our current move. Stacey Scaravelli – Grocery stores are good sources for free boxes. Egg crates are really good and usually come with handles. Ask about the insurance if you’re using a professional mover. You might want to rent first, depending on how in-flux you think you’ll be, and the size of the town you’re moving to, before making a big commitment. Sarah Neubauer When we moved to Denver, we joined angie’s list. It has reviews on everything from plumbers to OB/GYNs……really helped me figure out what options were available. Candy Giles Assuming that you are driving your cars, I would put everything in the cars that you either don’t want the movers to pack or are going to be going with you. That way things don’t get put accidentally get end up on the moving truck. Stretch wrap is awesome! Check out this post with my tips for what to buy and what not to buy for a move. 1. Don’t bother with the garage sale. It will eat up a lot of time. Donate and toss anything you don’t want to move. Do it before you move, it will save you tons of time getting settled on the other end. 2. If you don’t already, sign up for nextdoor.com. It’s like Angie’s list for your neighborhood — only free. Great way to get free boxes, recommendations on vendors, etc. Can help you on both ends of the move. 3. 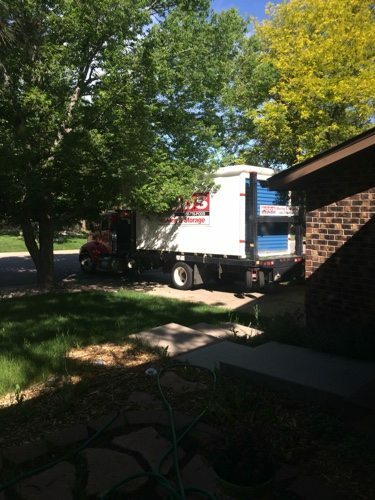 If you are using movers, put everything you don’t want the movers to move in one room, close the door and label it “Do not move” so it doesn’t accidentally end up on the truck. 5. Unpack the kitchen first, then the bedrooms. This will make it feel more like home more quickly. 6. Put things on the walls as soon as possible. This will also make it feel more like home. Move them later if you don’t like where they are. Trust me. 7. Plan a get together where the family can say goodbye to all your friends at once. It’s easier than trying to see everyone individually and plan for the move at the same time. I can’t even imagine how it would be trying to do this with kids! 8. If people want to stop by and help you, let them. Don’t worry about the mess. Don’t worry about asking them to help. Let them help. It makes everything go faster even if you have to rearrange the kitchen again two weeks later. It’s just better to have everything out of the boxes. 9. You will find a lot of stuff in rooms where you don’t want it as you unpack. Put empty boxes in each room labelled with the room the items actually belong in. As you unpack, put the items in the boxes and go around and put them in the right place later. It’s better to do one room at a time, than all the rooms at once. 10. Make a target run before your household goods arrive and buy all the incidentals you might need before you unpack– toilet paper, paper towels, cleaning supplies, etc. 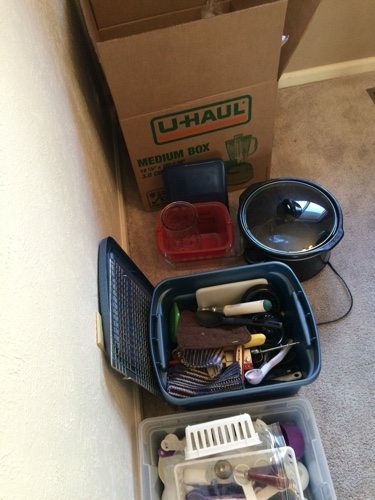 Leah Hellerich-We got boxes via Craisglist – most people give them away and broken down. Or they charge a small price. Some people even have the packing paper to give away. Stephenie Hovland- I have a board on Pinterest. It has a few things on it. 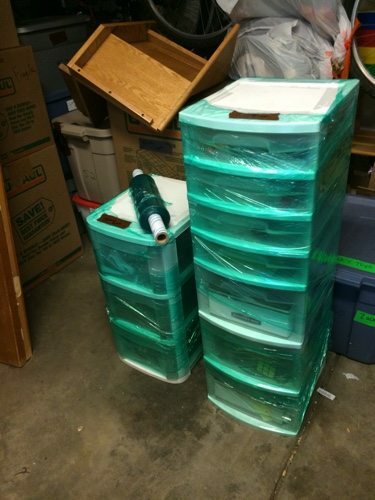 Teresa Tackett Hardymon- When my friend moved recently she purchased all her supplies at Lowe’s – they are fairly reasonable for clean, sturdy boxes. The last time we moved (we’ve had 20 or so addresses) we hired a moving company to load and unload for us and it was so worth every penny. The main thing is to make sure they are insured, look at their customer reviews and make sure they come to your house to give you an estimate. Read the fine print before signing the contract. I still did my own packing (read control freak) to save on costs. 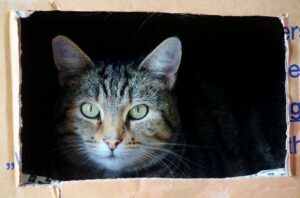 We usually scour local stores for boxes. Egg boxes and tomato boxes from supermarkets are usually good options. We would call to find out when they were expecting deliveries and then go get the boxes. Even if they have already broken them down to be picked up you can still use them – just reassemble and tape. I have found that allowing myself ample time to be organized with the packing and sorting is key. Our last major move I started sorting and packing about four weeks prior and by the last week everything but essentials were packed. The good thing about a major move is you can use it as a way to de-clutter. It’s best to purge before the move rather than after. Looking for more great Moving Tips? Follow my Moving Tips board on Pinterest. I just found out that I have to move in three weeks, because I got a job promotion. However, I don’t feel like three weeks is enough time and so I really appreciate Amanda Schmoldt’s advice about skipping the garage sale. I have a lot of stuff that I was hoping to make a little bit of cash off of, but I can definitely see how it will eat up a lot of my time.